Guys! Guys! Today is September 28th! What does that mean? Well, that means that The Untold Spiral is officially three! Before I officially announce a certain Twitter event that I know people have been looking forward to, I wanted to quickly highlight some of my favorite posts from this past year. Nobody really stops to think about all the crazy things that NPCs do. They trust complete strangers, they stand right near dangerous enemies, and they make a whole lot of assumptions. 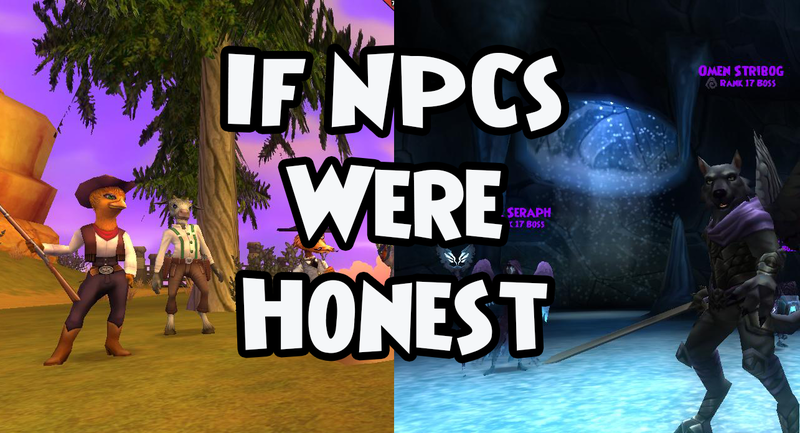 In this post, I quoted some things that I thought NPCs would say if they were truly honest with players. I really try to post content that other people aren’t, and I think this post really stands out in that sense. Thinking about games differently (and sometimes more realistically) can actually be a lot of fun! 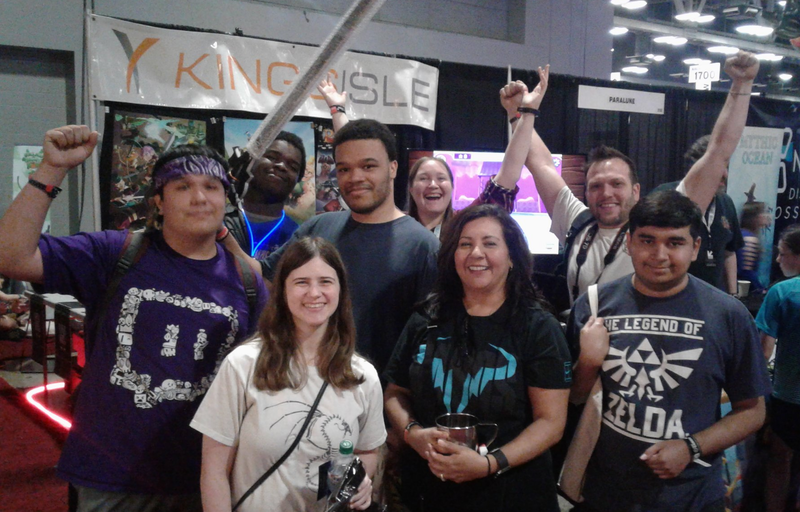 Many KingsIsle players shy away from talking about or even playing KingsIsle’s mobile games. However, I try to keep an open mind. After all … you never know when you may be surprised. In Animal Cove’s case, what started out as a curious match-3 decorating game turned into a storyline-driven adventure intertwined with the spiral. As I completed the levels and “quested” through the story, I made sure to recap all the major story points in my Animal Cove summary series. You can read them from start to (current) finish below. Don’t worry, the newest installment is coming soon! Even though I only wrote this post a month ago, so much in War Goonz has changed. Being able to experience the game in tech beta (SXSW) and now in regular beta is truly fascinating. Though there are hiccups along the way, watching a game develop and tweak before your eyes is a very unique experience. Even Animal Cove at world launch was nothing like it was when I first started playing it in beta. Hard and very hard levels? Those didn’t exist. Outfits and decorations? Those didn’t exist either. All the animals actually used to have specific “quests” that would reward you at certain checkpoints. These have since been scrapped, but the baby animal event has a similar layout to it. 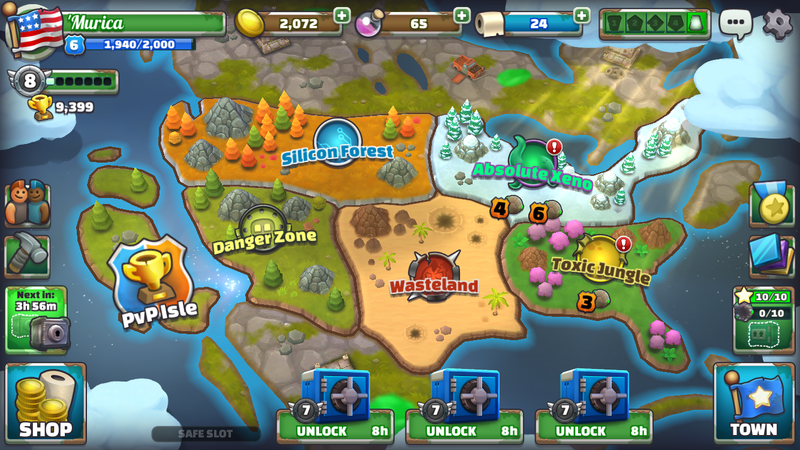 Anyway, I’m interested in seeing where KingsIsle takes War Goonz and how the finished product will compare to my very first experience. This community is hands down one of the kindest and welcoming I’ve ever seen. 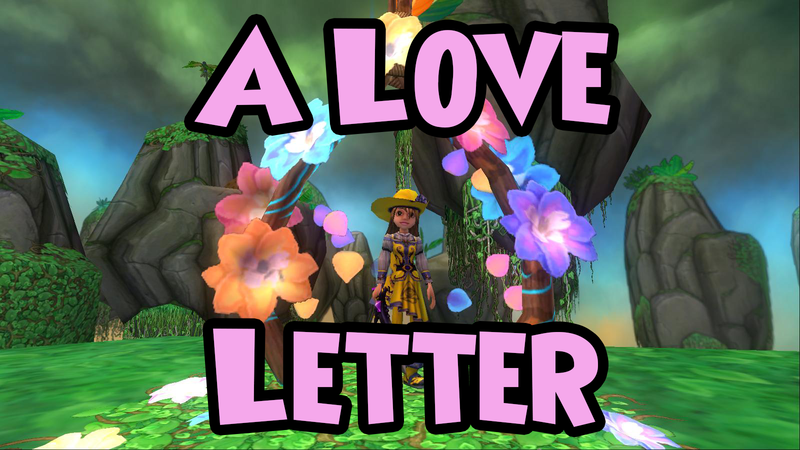 Writing a “love letter” to the community as my Valentine’s Day post just seemed natural. I really do appreciate all of you (especially my loyal readers!). You have no idea how much it means to me. And now for what I know you’ve all been waiting for …. YES. THERE WILL BE A BLOGAVERSARY BINGO GAME!! !